The first two sections of the IELTS Listening test are designed on social contexts, and the last two sections have academic content and the difficulty level increases as we proceed from one section to another. In the first section, one is supposed to answer 10 questions based on a dialogue, which is usually in the form of an inquiry. The next section is another set of 10 questions which is based on a monologue. The monologue is usually on a general topic. In the third section, the audio file is of a group of three or more speakers and the content is to be understood to answer another set of 10 questions. The last section is that of a lecture which is based on an academic topic. The types of questions asked in this section range from fill in the blanks, match the following, choose the correct answer, etc. The total number of questions to be answered in this section is 40. You can listen to the audio only once, and you will be given 10 minutes of time to shift the answer from your rough sheet to your final answer sheet. There is no negative marking in the Listening section. 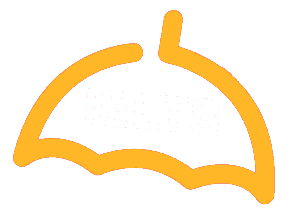 The IELTS Reading test is designed to assess how well does one understand written English. The Reading test is very similar to the comprehension tests you wrote in school. The test is 60 minutes long and is divided into three subsections. The IELTS Academic Reading test consists of three sections, each comprising of a text (200-300 words long) followed by questions that are based on the content of the text. The IELTS General Training Reading test also consists of three sections, which, in turn, consist of two or more small texts taken from books, magazines, advertisements, etc., followed by questions based on the content of the texts. The types of questions asked in this section are filled in the blanks, match the following, list of headings, true/false/not given, yes/no/not given, etc. The total number of questions asked in this section is 40. The level of difficulty increases as we proceed in the section and questions are often twisted and turned using synonyms, etc. to test your understanding of English. There is no negative marking in this section. The IELTS Writing test is designed to assess how well does one write English to express his/her ideas. The Writing test is 60 minutes long and is divided into two subsections. The test is scored on the basis of spelling, punctuation, grammar, coherence, vocabulary and linguistic range. The IELTS Academic Writing test is divided into two sections. In the first section, you are asked to describe an image (ranging from a map, chart, table, graph or a diagram) in a minimum of 150 words. The second section comprises of writing an essay in a minimum of 250 words. The IELTS General Training test is again divided into two sections. In the first section, you need to write a letter, which can be a formal, semi-formal or an informal letter, in a minimum of 150 words. In the second section, you are to write an essay in a minimum of 250 words. The essay can vary from an opinion essay, argumentative essay, direct question essay, agree or disagree essay, etc. It is advisable to divide the 60 minutes time slot into two parts: 20 minutes for section 1 and 40 minutes for section 2. Writing in a logically organized manner, with correct grammar, punctuation, and spelling and showing sufficient vocabulary and sentential range fetches maximum marks in the IELTS Writing test. The IELTS Speaking test is designed to assess how well does one speak and express oneself in English. The Speaking test is usually conducted on a separate day from your other tests and is in the form of a face to face interview. The test is about 11-14 minutes long and is divided into three subsections. The first section of the IELTS Speaking test is the introductory section where the examiner asks you about things around you like your hobbies, your place of birth, your ambition, etc. You are to answer around 7-14 questions in this section. The second section of the IELTS Speaking test is an elocution section where you are given a topic, along with cues to help you organize your speech and preparation time of 1 minute. You are supposed to talk on the topic for 2-3 minutes. The IELTS Speaking test is scored on fluency, an organization of speech, pronunciation, etc. Factual correctness is not important, correct English is.